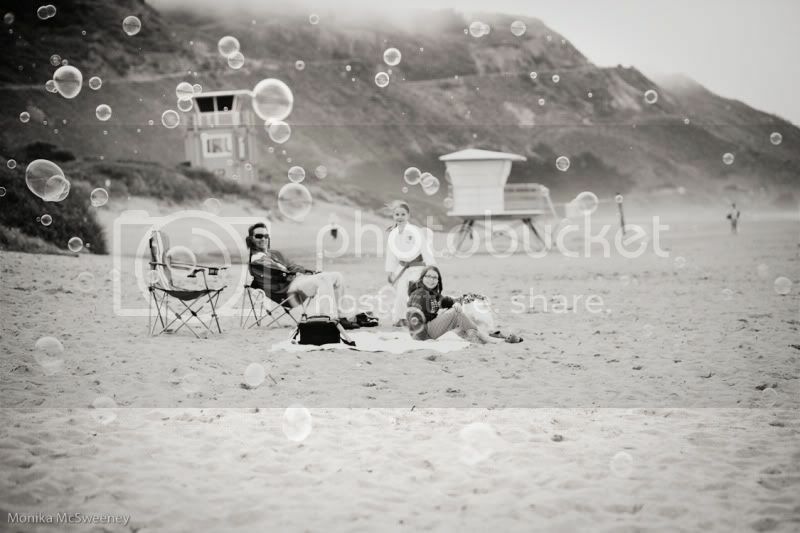 My family at the beach, fog rolling over the hills and a million bubbles floating in the air. Fun. Awesome with the bubbles. Love it. Perfect... I love it. The bubbles are totally unexpected and totally cool. Such a fun shot! Nicely done! So much fun Monika! I love it. Congratulations on being one of the winners this week. What a great image!